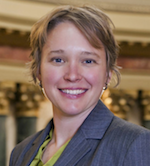 State Representative Mandy Wright (D-Wausau) was narrowly elected to the Wisconsin Assembly in 2012. Her re-election contest in 2014 was decided by an even narrower margin – just 86 votes – in her loss to Republican challenger Dave Heaton. What was different from 2012 was the vast amount of outside money that poured into this election during the last month, most of it attacking Wright. 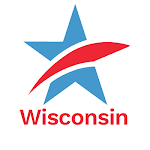 Today, Thursday, November 20th at 1:00 PM, Wright will address the Common Cause in Wisconsin State Governing Board in Senate Hearing Room 225 North-West of the Capitol to tell what happened. Her presentation of 15 to 20 minutes will be followed by Q&A from CC/WI Board Members. CC/WI members and the media are invited to attend. State Rep. Mandy Wright to Address CC/WI Board in Capitol Today on Avalanche of Outside Spending in Her Recent Election LossTweet this!